Electric cooker, microwave, fridge/freezer, dishwasher, kettle, toaster, cafetiere, cutlery, glass, china, utensils, pots and pans, serving dishing, tea towels.Washing machine, tumble dryer, iron and board, drying rack, clothes pegs. Duvets, pillows, extra blankets, bed linen, towels, tea towels, bath mats, hairdryers. This pretty stone cottage with sunny conservatory stands on a rise in close proximity to the River Tummel (a one minute stroll). Tuim has a large L-shaped sitting room/dining room with sofa and chairs around the stone fireplace with wood stove, and a TV. 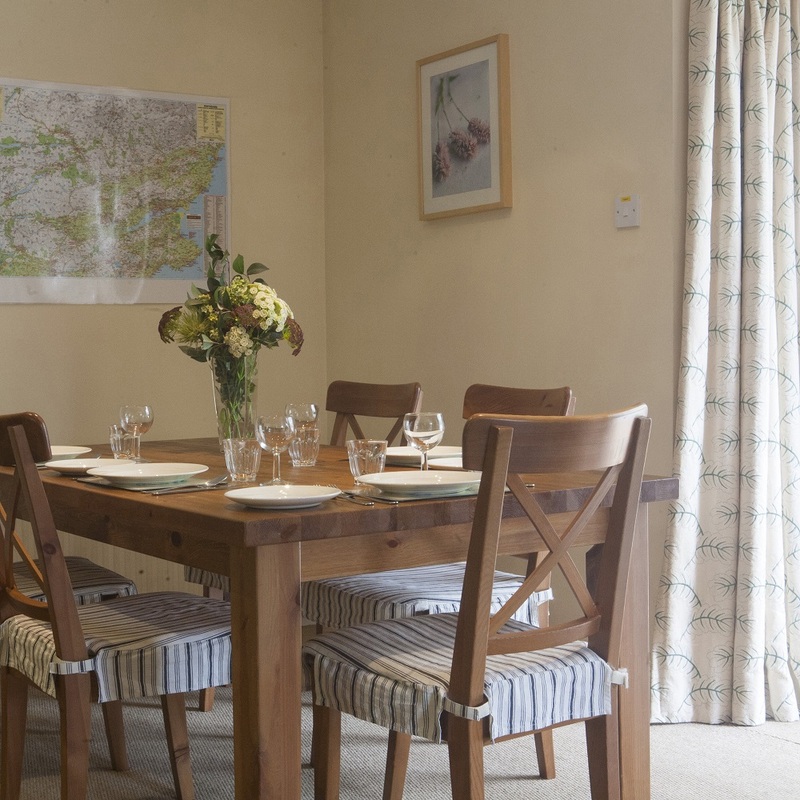 There is a spacious dining area next to the conservatory with table and chairs. There are small tables and lamps and books and puzzles. The twin room faces south and has two single beds, wardrobe and chest of drawers. The bathroom has bath with shower over, plus washing machine and tumble dryer in a cupboard. The kitchen is fully equipped with everything you might need. The cottage has oil central heating throughout. There is a picnic bench/table in the garden and garden chairs in the conservatory which can be taken outside. 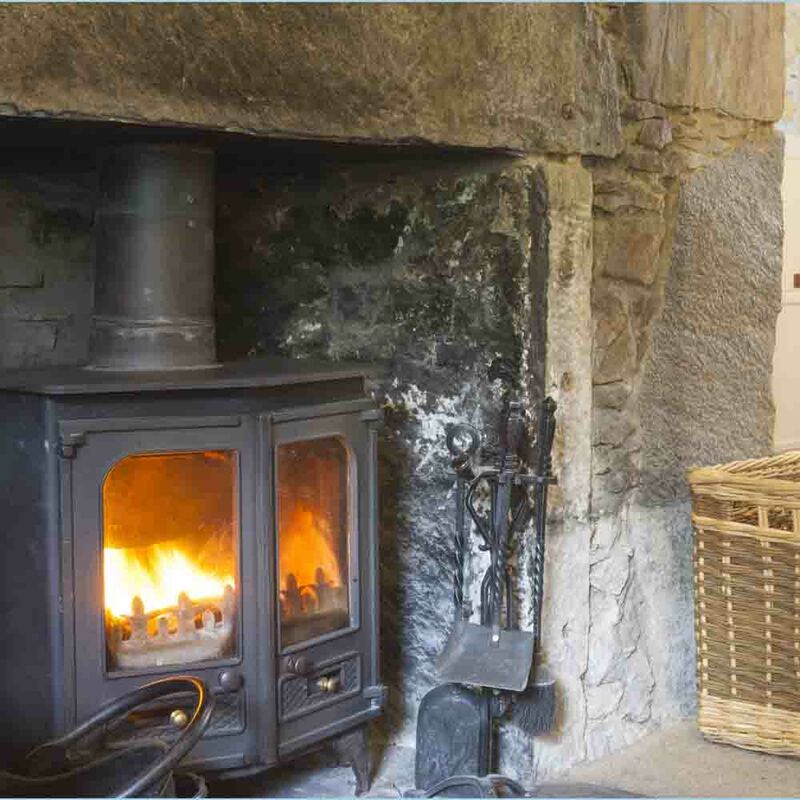 It is particularly suitable for dogs as there are no livestock near the cottage. There are several steps to the front door which may make it unsuitable for those with walking difficulties. There are three steps up to the back (conservatory) door. The rear garden is fenced and an unfenced wild garden surrounds that. There are mature shrubs and trees in the garden including birches and Scots pines and a woodpecker regularly visits as well as red squirrels and other wildlife. You can sit on the garden seat in the evening and savour the peace and watch the wildlife. You may well be lucky enough to see an osprey in summer as they nest not far away and can frequently be seen in the area, especially near the river and Dunalastair Loch. 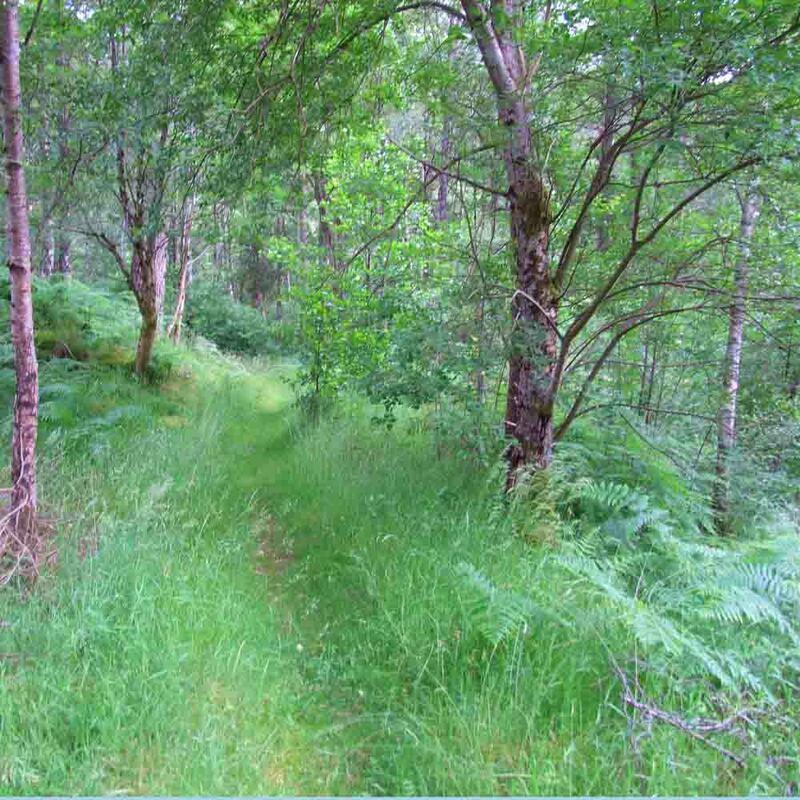 Walk along the riverbank and enjoy the mature pine woods with heather and blaeberries underfoot, and birches, alder and willow. There is a grassy path directly to the river bank from the garden. It is a great place for children to play in the wild garden and make dens in the woods. A free fishing permit is included so you can fish for trout or pike on the river and, on Dunalastair Loch (a short distance away by car), where you can fish for trout only. Boat fishing only on the loch.